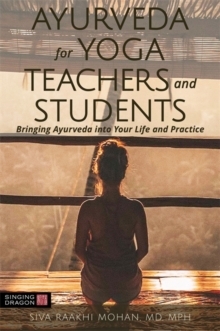 Writing for both yoga teachers and students of yoga, Siva Mohan explains the principles of Ayurveda and how it can be used as the framework from which to learn how to live a yogic life. As she says in her first chapter, 'One of my gifts is to show you how to fit Ayurveda into the container of your modern urban life. And then, use it to change the container entirely. 'This book teaches the basics in an accessible way, while always including the psychospiritual component. Siva offers guidance on how to apply the teachings of Ayurveda in a variety of settings and how to incorporate them into an integrative approach to health.